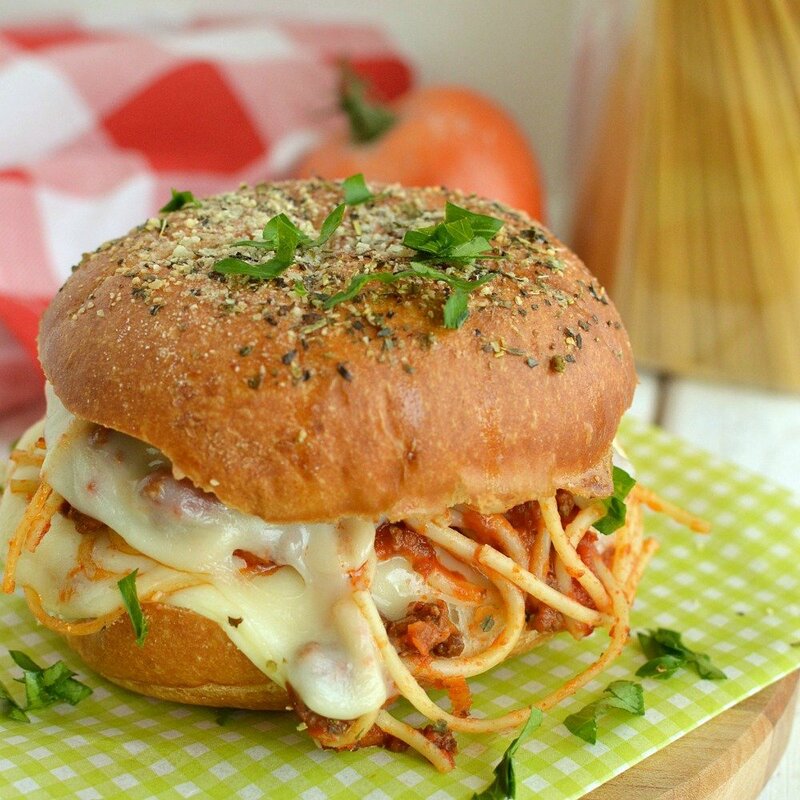 Easy Spaghetti Sliders is hearty spaghetti and garlic bread all wrapped up in one cheesy little slider! Make a few, or make a lot, either way they are super easy to make and are a hit with kids and adults alike! These quickly became on of my kids favorite meals and you are going to wonder what life was like before you knew these! My kids most requested birthday meal is spaghetti. It has been their favorite for years, they beg for it, and they think I’m amazing when I make it for them..and that’s one of the reasons I like spaghetti. I need my kids to think I’m amazing for some reason, even if it is for my spaghetti making abilities. Whatever works right? I’ve had this super Easy Spaghetti Slider recipe kicking around in my head for awhile now. In my head I knew it was going to be amazing. After all, it’s really just garlic bread, spaghetti, and lots of cheese wrapped up in one scrumptious little slider. This past week I made them, and I made them again. Then my kids asked me to make them and stick them in the freezer so they could pull a slider out to throw in their school lunches. While we were eating my boys were devouring their sliders and weren’t saying a word. It was only mmms, ooohs, and ahhhs. I knew I was onto something if not one person was complaining. 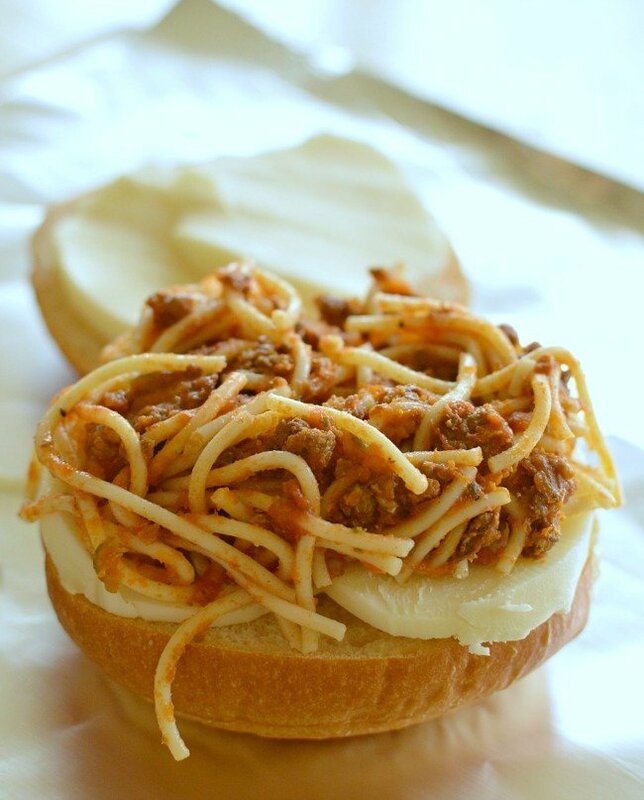 They agreed that Easy Spaghetti Sliders just bumped spaghetti out of the running for most requested birthday meal. And that’s saying something! 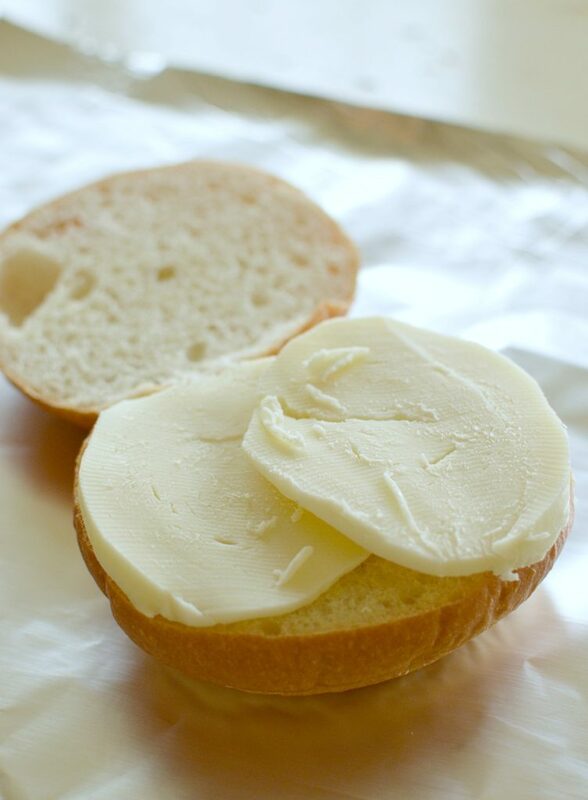 Cut rolls open. Layer either grated cheese or sliced mozzarella cheese on the bottom. Next, add a spoonful of spaghetti. Next comes another layer of cheese, yes it’s cheesy! I made them twice in one week and took pictures both times. So don’t let it throw you that this picture has grated cheese and the other picture has sliced cheese. Either will work just fine. The important part is that you add cheese! Put the top on the sliders. Brush the tops with melted butter. Lastly, sprinkle the tops with grated Parmesan cheese, Italian seasoning, and garlic salt. Pop these babies in the oven and bake them until the top is nice and crusty, the spaghetti is warm, and the cheese is melted. It will pretty much be heavenly bliss! 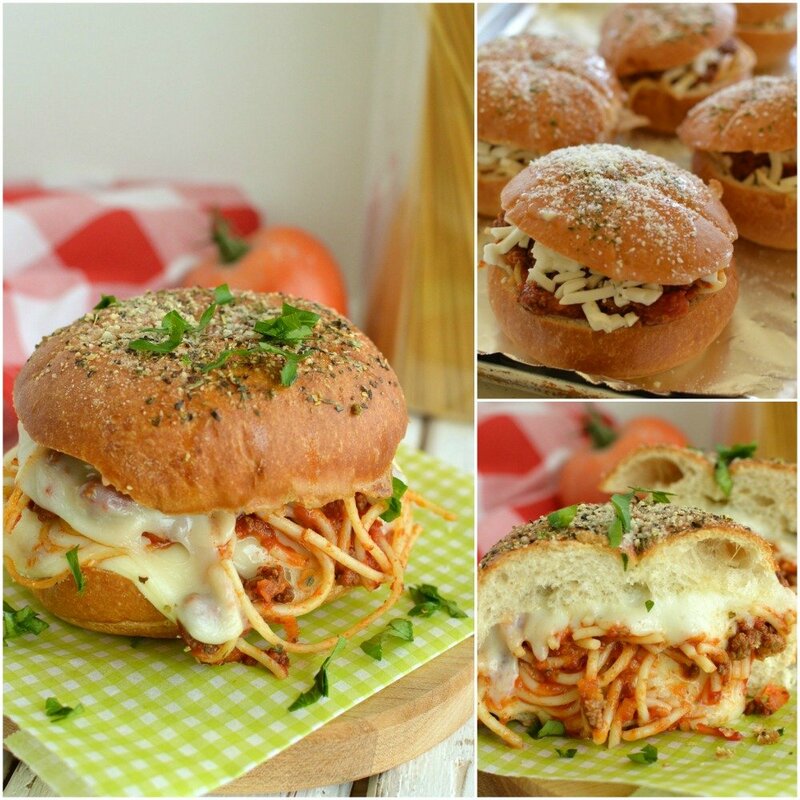 Easy Spaghetti Sliders looks just as tempting from the inside as they do from the outside! Check out those layers of melted cheese, hearty spaghetti, and crusty garlic bread! Once you make Easy Spaghetti Sliders you are going to find yourself making them again, and again. All the leftover spaghetti in the fridge ended up wrapped up in this savory little slider! And to think they are so easy! You gotta make em! Before I start sharing the instructions for this recipe I need to explain a little bit about it. I make five sliders at a time because there are five people in my family. I'm not listing specif amounts in this recipe, so maybe it's more like an idea than a recipe. I'm not listing the amounts because this recipe is super flexible in the amount of servings you can make. Make a few, or make a lot. The steps are the same, the ingredients are the same, just in different amounts. Please don't send me hate mail telling me that I didn't list the amount of butter, or how many rolls to use in this recipe. I know I didn't list it. That means you get some artistic license with this recipe and get to choose some of those things for yourself. 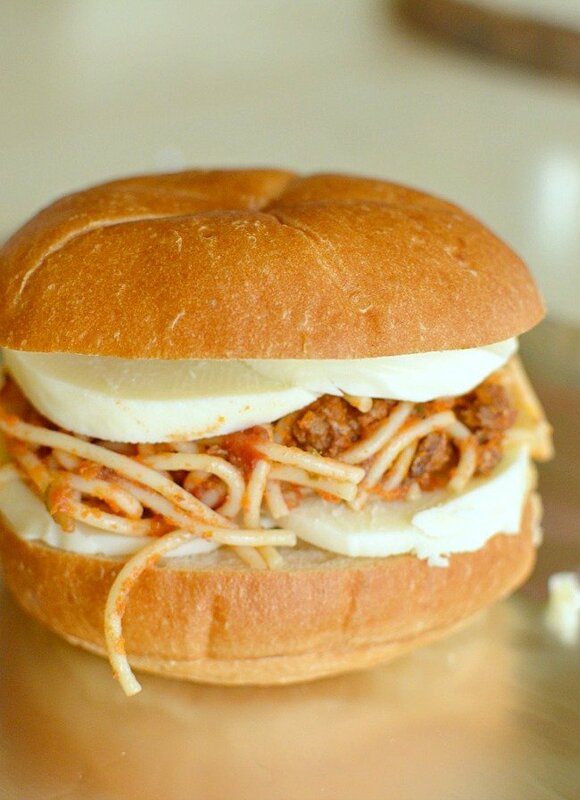 If you want your slider to be piled a mile high with spaghetti do it! All I'm saying is no matter what, add lots of cheese! Okay, thanks for understanding. Here's what you do! Preheat oven to 350 degrees. Line a baking sheet with aluminum foil. Spray foil with nonstick cooking spray. Cut rolls in half and set on baking sheet. Remove top half and layer cheese on the bottom half. Next, add a spoonful of spaghetti. I already had leftover spaghetti in the fridge and used that. If you don't have leftover spaghetti use your favorite spaghetti recipe to make spaghetti. Of course I added ground beef to my spaghetti but do it how you like it. Top the spaghetti with more cheese. Put the tops of the rolls back on the bottoms. Brush tops with melted butter. 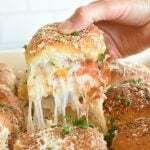 Sprinkle grated Parmesan cheese, garlic salt, and Italian seasoning on the tops of the rolls. Just add how much you would add to garlic bread. Once again, this is a little bit of personal preference, just sprinkle to taste. Bake uncovered for about 20-30 minutes, or until the spaghetti is warm and cheese is melted. Time may vary a little depending on how big your sliders are, or on how much spaghetti you piled on. Thanks for understanding that this is kinda of a recipe, and kind of a really good idea! 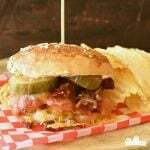 Either way, you are going to love every bite of these sandwiches and wonder what life was like before you knew them! 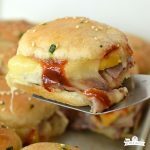 My husband went crazy for these sliders, I bet yours will too! These look delicious! I would want these for my birthday too! They are easy enough you could make them for your birthday and have a little time to yourself too! It’s funny how the littlest things our kids want turn us into the Amazing Mom! 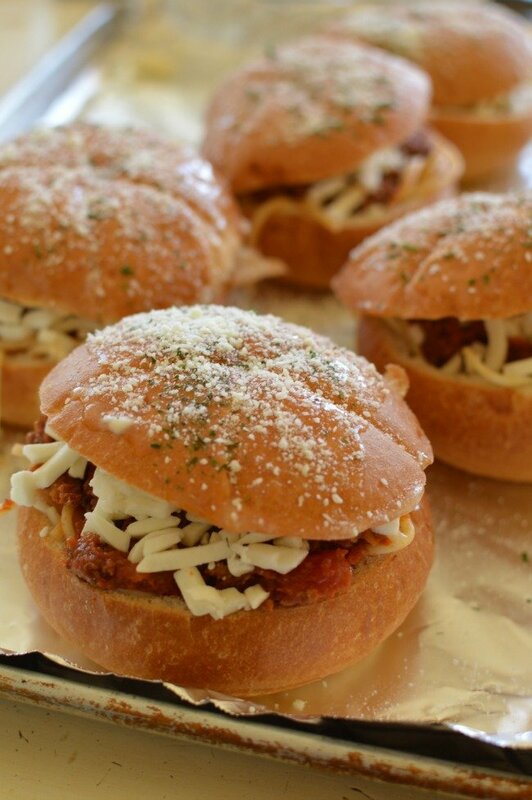 These sliders indeed sound amazing, all that cheese oozing and of course, you can never go wrong with pasta! There are moments in my day when I can’t even say I’m a decent mom, let alone an amazing mom! But yes, that cheese makes everything better! Great. Now I’m craving a spaghetti slider! LOL. No. Really! Haha! 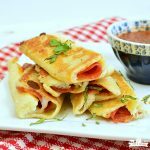 I made these three times in one week and craved them the whole next week! How fun, I have never seen this before. Very creative! Thanks! They are make a great “hand you dinner on your way out the door” meal! Well this is creative! And a kids dream! My kids seriously devour these things! OMG just tripped over this recipe. 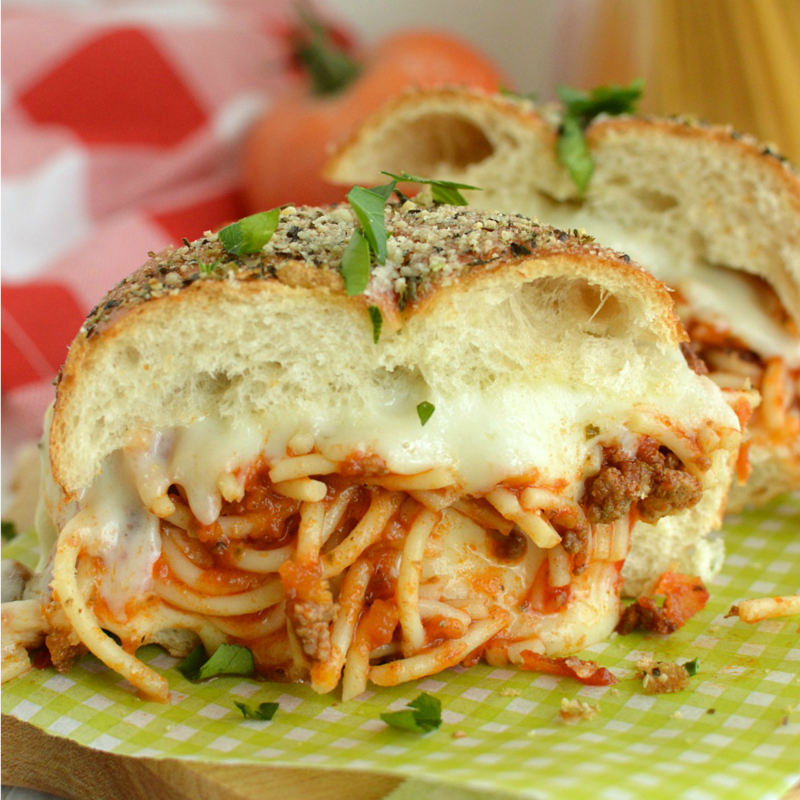 OF COURSE spaghetti sliders! Can’t believe I’ve never heard of this and will be trying them out soon! Genius! I checked Pinterest and there they were, plus grilled spaghetti and cheese sandwiches!! Whoa…. I’m so happy you found this recipe! 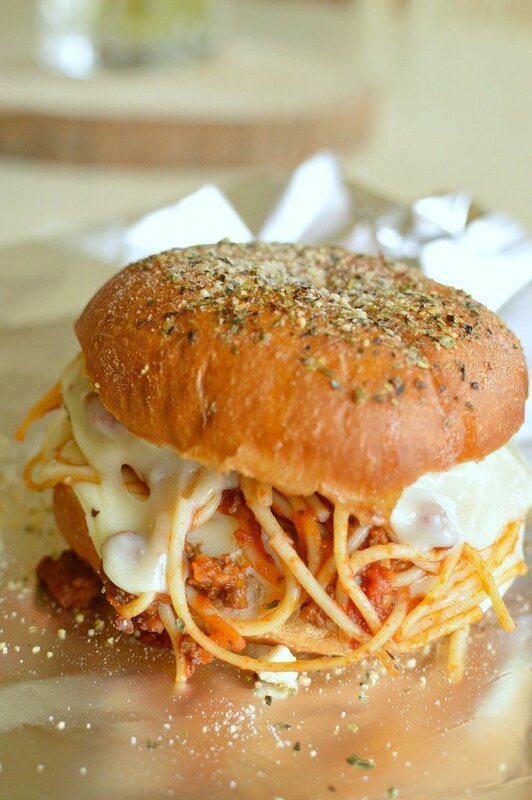 Spaghetti Sliders are one of my favorite sliders! It’s pretty much carb overload and I love everything about it! Wow! These look sooo good! My husband has made pasta with buttered bread on the side. He’d occasionally make sandwiches with some of it. I thought it kind of odd at the time, but after stumbling across this recipe….well, I’m making it for supper tonight using Hawaiian rolls. I can’t wait! Thank you! I can’t wait for you to try them! 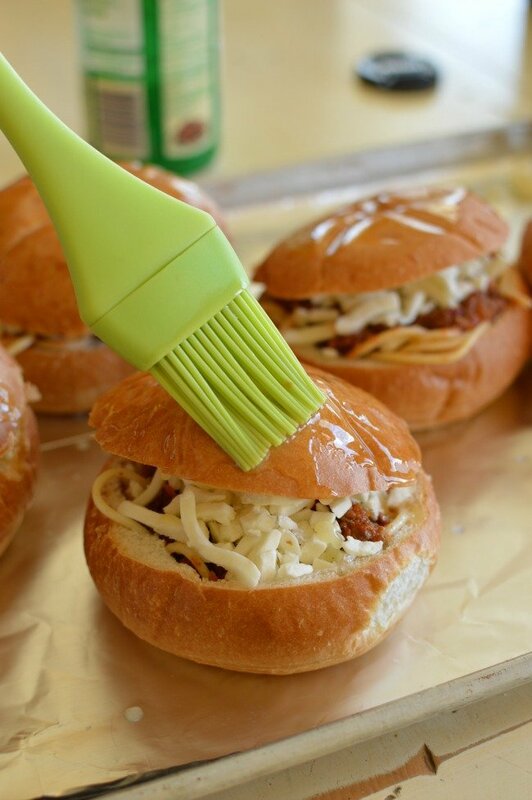 Spaghetti is awesome on it’s own but in a slider…out of this world! I’m glad you are enjoying the recipes! Thanks for stopping by!